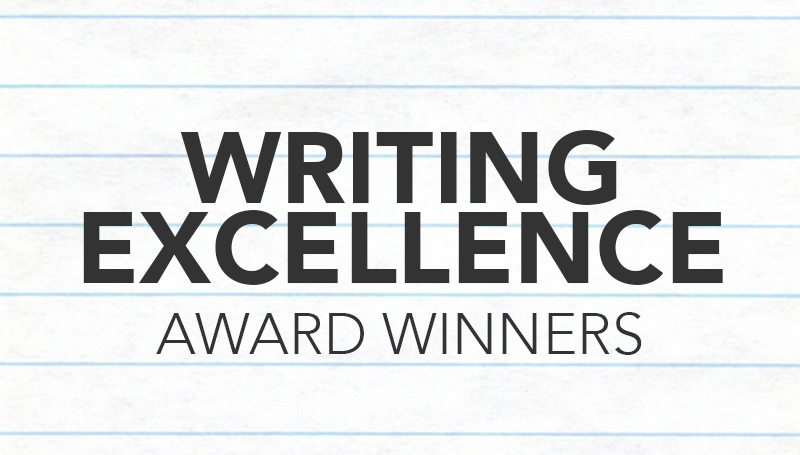 winners of the 2018 Writing Excellence Awards. Winners, selected by the university’s Writing Program Committee, each received $250. The two faculty winners were announced during the recent all-faculty meeting. Writing Program Committee, along with the nominating faculty members. Nominated by Dr. Amy Gates. Nominated by Dr. Zak Watson. Nominated by Professor Doug Myers.